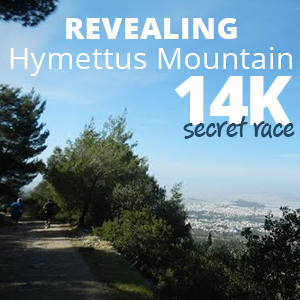 The “Poseidonios Half Marathon” is a fantastic opportunity to enjoy running through the most beautiful sights of the Faliro Bay, the southeast coast of Athens, a location that uniquely combines ancient with modern. Apart of being a harbor for luxury yachts and boats, the Flisvos Marina is a wonderful place that provides a diversity of recreation and relaxation opportunities, while sporting enthusiasts can enjoy jogging, walking and cycling activities in a friendly and peaceful environment. Welcome to the “Poseidonios Half Marathon” offering the chance to enjoy the fresh sea breeze and a beautiful route in a unique seafront neighborhood, located only 6 km southwest of Athens city centre. Runners can also enjoy other parallel events: Music & Musicians by the sea, Painting Competition for kids aged 4 to 14,”ECO–Environment-Way of life” Experiential learning for kids about ecological and environmental issues, Interactive games for kids, Volunteering Society: Lecture and exhibition of volunteering organisations. 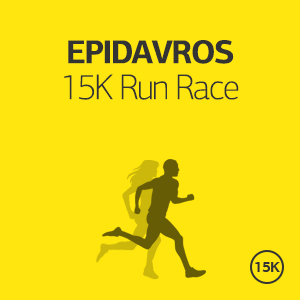 Half Marathon, Relay Half Marathon (2 runners) 21,5 K, Quarter Marathon Race, Athens Fun Run, Power Walking, Youth Run-1500m (from 7 to 12 years old), Kids Run-400m (till 6 years old). Participating in “Poseidonios Half Marathon” provides a remarkable occasion for runners to run along a beautiful and fast route at the Faliro Bay and also enjoy the mega-yacht destination in Athens, Greece. Registration is open until Friday, 1st of April 2019 or until a specific number of applications is reached. Starting and Finishing Point: All races will start and finish from the track of PO.LA.K in PalaioFaliro, Flisvos Marina Bay. All routes are designed to go through the most beautiful sights of the Faliro Bay. • Indicative: Cultural and Sports Centre of the Municipality of PalaioFaliro –crossing Marina Flisvou- battleship "Averof" & trireme Olympias- Faliro Pavilion (TAE KWON DO)- the 50 meter wide footbridge of the Esplanade and up to the Metropolitan Park of Kallithea, which has recently started being manufactured by the Foundation "Stavros Niarchos" the new National Opera, the new National Library and the environmental park. • Water Plaza- Yacht Marina of Kallithea- beach Volley and along the –under construction- environmental park, between the mouth of Kifisos and Ilisos river. • Peace and Friendship Stadium - Faliro Marina, up across the southern side of the Peace and Friendship Stadium, etc. • Specifically, participants of Power Walking will walk on buildings roofs for 500m, in a really beautiful route in which there is a special route for blind people. 1. Half Marathon Run-Men: Cup and medal for the first 3 winners of the general category. 2. Half Marathon Run-Women: Cup and medal for the first 3 winners of the general category. 3. Half Marathon Run: Cup for the largest team of the Half Marathon. 4. Half Marathon Run: Cup for the fastest team of the Half Marathon. 5. Relay Run: Cup and Medal (x2) for the first 3 teams regardless of age and gender. 6. Participation of people with disabilities: Cup and medal for the first 3 winners with visual impairment, regardless of gender. 7. Participation of people with disabilities: Cup and medal for the first 3 winners with hearing impairment, regardless of gender. 8. ¼ Marathon Run-Men: Cup and medal for the first 3 winners of the general category. 9. ¼ Marathon Run- Women: Cup and medal for the first 3 winners of the general category. 10. Youth Run and Kids Run: Cup for the largest team of Primary Schools. 11. Fun Run: Cup for the largest team participating. 12. Fun Run: Cup to the team with the largest participation by an educational institute. 13. 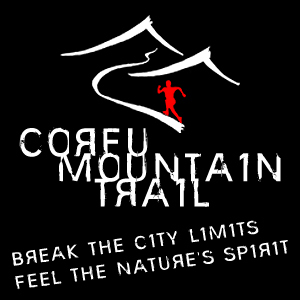 All participants in all runs will receive a commemorative medal and certificate of participation (or performance) in printable or electronic form. This Simple Running offer is not available for this event. Our SROs are addressed to those who wish to come and stay in Athens on their own. We help you with all the registration logistics and we guide you during your stay in Athens in order to save time and energy for the event itself. You can add to your registration several other services like extra running gear from RunninGreece and the Athens Marathon The Authentic collection, training, nutrition conselling, transportation and more! We have prepared for you the ideal Wellness weekend break! We offer you the several ideas to get the most out of your visit in Athens, have great time, great foot and great fun and at the same time join a fantastic event! It starts from €69 per person (runner or not) for a two days/one-night accommodation in a 4star or equivalent hotel. If you wish to stay longer, you may add as many nights as you want for an additional €49 per night per person. * We also offer you One Day Cruise to 3 Islands, One Day Trip to Olympia and other trips at exclusive prices! * We can also offer you recovering training at the Olympic Stadium of Athens. * Airfare is not included. This offer is ideal for those who want to discover Athens and get relaxed and energized from the Athenian spirit. We have selected the best locations and the best activities for you in order to experience the wellness aspect of Athens. From the great mediterranean food to the various activities and adventures and of course the great running events, we do our best to make these four day a unique experience to you! - Hotel accommodation in 4* or equivalent hotel in Athens. It starts from €169 per person (runner or not) for a four days/ three-nights accommodation in a 4-star Hotel in the center of Athens. The length of PalaioFaliro beach is about 4 km and is located about 9 km from the center of Athens. The Floisvos area is a reference point of PalaioFaliro and operates as the cultural center of the municipality. Along the beach some neo-classical villas can be observed, typical examples of architecture of the last century. The seaside area has been redeveloped for the 2004 Summer Olympics, and now contains a seaside promenade, several sports venues, a marina and the Park of Maritime Tradition, where museum ships are exhibited. The main road of PalaioFaliro is Possidonos Avenue, a 60 km. coastal road that is mostly scenic, stretches along the northeastern edge of the Saronic Gulf from Piraeus, the main port of the city, to the southernmost tip of Attica, Cape Sounio, the site of the 5th century B.C. Sanctuary of Poseidon. Flisvos Marina provides easy access to many cultural and entertainment attractions available in the rejuvenated Olympic city. The newly constructed Athens ring road and the extensive and modern public transportation system allow easy and convenient access to the Archaeological Museum as well as excursions to the Acropolis, historical sites, monuments and museums. Flisvos Marina provides a diversity of recreation and relaxation opportunities, while sporting enthusiasts can enjoy jogging, walking and cycling activities in a friendly and peaceful environment. Following your booking we will send you an e-book about Athens with what you can do, see, eat, visit in Athens and we will be there for you during your stay for you assistance.